On June 6th, the Bend Bulletin published an editorial about piping irrigation canals. “The Three Sisters Irrigation District will, by 2020, accomplish something similar districts in the region can only dream about. It will have piped every inch of its 64-mile delivery system and, in the process, provided something good to just about everyone. Whychus Creek may be the biggest winner of all. TSID draws its water from Whychus Creek, and before piping began the creek ran dry in the summer. Please send us your punchline to this joke! More information below. If you’re wondering if we really can solve river issues collaboratively, then please join us for a real-life example of this work being done in eastern Oregon. Details of this, and more March events below. There’s so much happening in Central Oregon water world in March! The Coalition is presenting two programs, one about wildflowers and the other about ranchers and river advocates. You can read about these and more below. The inspiring journey of Upper Columbia River tribal communities as they reconnect with their tribal traditions and the river. This January, the Coalition for the Deschutes will be two years old. We created the Coalition because we were inadvertent witnesses to the terrible condition of the river, and we were compelled to act. We set out to be a voice for the river and to speak on its behalf. In 2017, we told the river’s story at every opportunity and advocated vigorously for it at every turn. Fish Salvage 2017 at Lava Island channel area – with Photos! This year, the annual Wickiup Dam drawdown brought the reservoir water releases down to the ‘winter’ rate of 100 cfs – starting on October 16th. Many local volunteers and friends from the following organizations joined together for this year’s Fish Salvage at the Lava Island channel of the Upper Deschutes every day from October 16 through 19th. Special recognition goes to the organizations’ coordinators, listed below. To all those that participated, THANK YOU – over 2000 fish were salvaged this year! Check out photographs, including a few short video clips, that some of the organizers and volunteers shared with us while out at this year’s fish salvage. 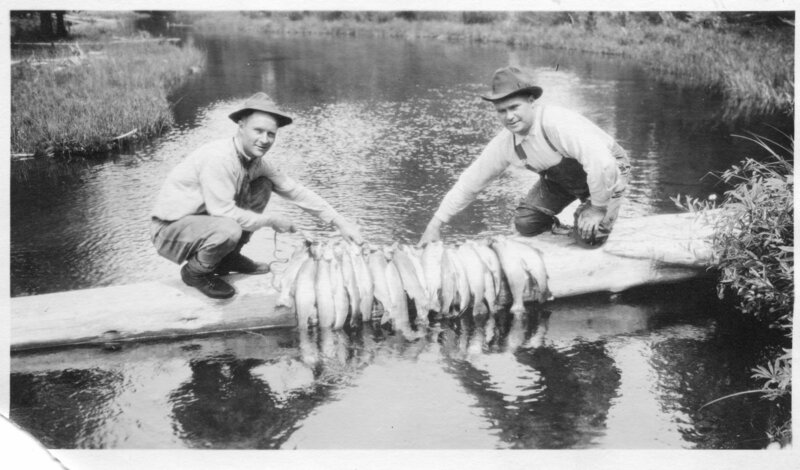 Upper Deschutes Historic Fishery Presentation…and Much More! Join former Coalition for the Deschutes board member, Craig Lacy, for a presentation about the Upper Deschutes fishery of decades past. Bend resident Craig Lacy has been an advocate for wild rivers and wild fish for more than four decades. During the early 1980s, Craig worked as a guide for a flyfishing business out of Sisters. In 1985, he started his own outfitting business, Whitewater and Wild Fish, becoming the first full-time outfitter out of Bend to do extended trips on the Deschutes. The business grew over the years, with seven guides taking flyfishers throughout the area, including the high cascade lakes, the Deschutes and the John Day. In the mid 1980s, Craig served as the Chairman of the original Coalition for the Deschutes, which worked to successfully stop 16 proposed hydro-electric dams on the Deschutes, all of which would have been within 15 miles of Bend. Craig and company succeeded in getting the Deschutes added to the state scenic waterway list, which not only stopped the hydro projects from going forward but also gained long-standing state protection for the river. It also inspired activists from around the state to seek similar protection for their own beloved rivers. In 1987, Craig was named “Oregon Flyfisher of the Year” by the Federation of Flyfishers, primarily because of his conservation work. In 1995, after 11 years of guiding, Craig decided to give his back a rest and work on a degree in fishery science at Oregon State University. With his degree in hand, Craig began consulting on river issues and has contributed to studies and planning for the Deschutes and Crooked Rivers. More recently, Craig helped launch the “new” Coalition for the Deschutes in 2016. Today we are launching 30 Days of Giving for the Deschutes River. We have a generous supporter who is matching every donation up to $10,000, until the end of this year. No amount is too small in support of the work we are doing to give a voice to the life that depends upon this amazing river. We are grateful to have received $2655 towards this goal so far. Please consider sharing your #deschutesriverlove. FLOWtilla or BLOWtilla, you showed up! It was auspicious and particularly foul weather even by Bend standards. We had all taken to calling it a BLOWtilla, and wondered if anyone would dare to show up. The winds howled as community members began to show up at Tumalo Creek for the first annual Deschutes River FLOWtilla. One by one they arrived, with kayaks and paddleboards in tow, geared up in spite of the weather ready to paddle with beaming smiles on their wet faces. It was 2013 when Kim Brannock of Bend first witnessed thousands of dying fish in a side channel of the upper Deschutes River near Lava Island. As co-founder of the Coalition for the Deschutes, she was sickened by the sight, only to find out it had been occurring for decades with seasonal irrigation water flows that run extremely heavy in the summer and light in the winter. 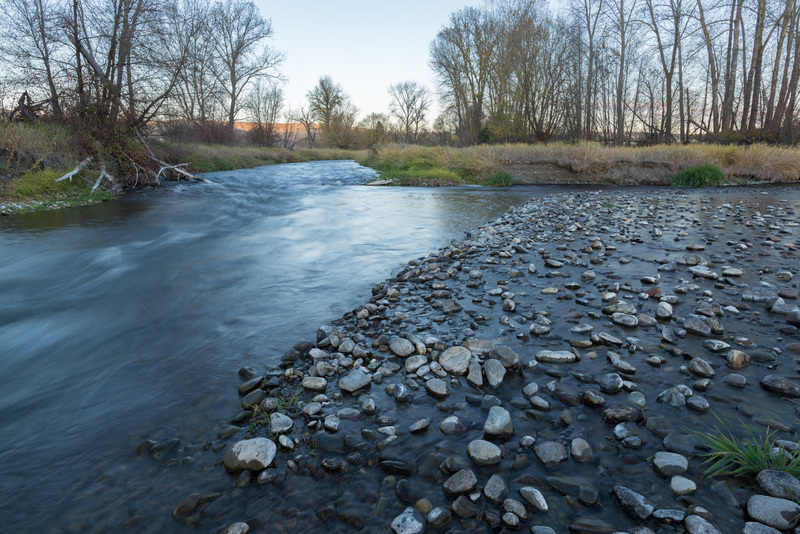 When growers need water, the flow from Wickiup Dam is at its highest level, often causing washed-out channels that damage sensitive riparian environments essential to the health of the river and its fish.